When I begin a book, it sometimes takes a while to figure out whether or not the author is trustworthy. There may be wobbles before they have found their stride, and sometimes you can leap straight into a novel and immediately feel safe. 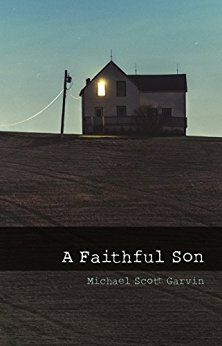 Michael Scott Garvin belongs firmly in the latter group, a natural writer who has imbued his debut novel with bittersweet small-town American charm. It is a literary, articulate and hugely entertaining time-piece, telling of what it was like to be a gay small-town boy in the 1970’s, with an engaging, sometimes tortured main character. So we have the story of Zach, a young gay man living in a God-fearing community, with an increasingly drunk father and a stoic, very traditional mother. All their lives are marred by the death of his little sister, and the subsequent disintegration of the family unit. So far, so bleak, if it were not for the perfectly drawn characters surrounding the family. Erstwhile church ladies and their barely-tolerated husbands provide a balance of humour to offset the tragedy, whilst cleverly showing that religious fervour can have an adverse affect on those who believe. A small quibble would be that the satellite characters were listed rather than woven subtly into the plot, and at first this makes the book seem a little disjointed, but when Zach becomes the main focus again, the book regains it’s footing. As he realises he is gay, and what he does with that dawning knowledge, rings so true it almost feels like a biography. In fact, it feels as if Zach could speak for many gay men in rural communities, going through the same struggles he did. I found myself cringing for him when he was discovered, and glowing when he found genuine piece of mind. This doesn’t seem like a wish-fulfilment novel, but one that is being played out all over the world every day. For that reason, it deserves to have as much exposure as possible, and anyone who honestly believes that being gay is all about being fabulous, needs to read this and learn from it. The next great American gay novel? Or just the next great American human novel? Whichever way you look at it, this is a beautiful, literary and very moving book, one that I will be buying in paperback so it can sit on my bookshelf, on display. I must just mention the cover as well. That image of the sun struggling to shine through the windows of a silhouetted, isolated house is just perfect. Thank you Jayne, for your kind words.